The Office of Student Success and Recruitment is dedicated to helping students achieve academic success during their tenure in the College of Education. The office is committed to providing top quality support, advice, resources, and comprehensive programs that ensure academic excellence. Our Student Success Program (P.O.W.E.R.) encourages students through a mentoring relationship with their advisor. Our EDvantage Academic Achievement Program is designed to provide resources to help students who have been removed from academic probation. The program provides guidance to help students stay on track to graduate and provide opportunities for personal and professional development. Students will have an opportunity to achieve these goals by participating in advising sessions, workshops, and utilizing other resources in the College of Education and campus-wide. Students participating in the EDvantage Program will be required to meet with an advisor, complete a post-probation assessment, meet with their professors to complete two progress reports, and attend two workshops during the semester. 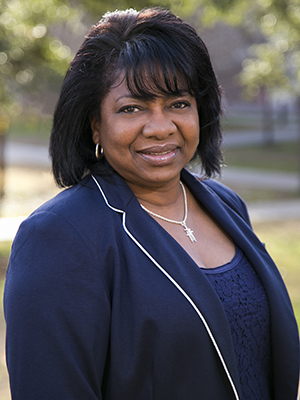 Antoinette serves as the Director of Student Success and Recruitment as well as the liaison to the UTeach Urban Teachers Program in the College of Education. In addition, she advises prospective and current students pursuing majors in Applied Learning and Development and Kinesiology and Health Education. Antoinette received a bachelor’s degree from Western Kentucky University with majors in psychology and recreation administration. She continued on at Western to complete a Masters of Public Service in Counseling and Masters of Arts in Education in Student Personnel Services. Prior to working in the College of Education in 2000, Antoinette also worked as an Academic Advisor in McCombs School of Business, Office of the Dean of Students, and Women’s Athletics. She received a Certificate of Merit from the National Academic Advising Association for Outstanding Advising in 2008. She has been employed at the University of Texas for 30 years. Tiffany earned a Bachelor of Science in Spanish Education from Indiana University. After graduating, she participated in City Year and Teach for America in New York City and Denver, CO. She is currently a master's student in the Program in Higher Education Leadership with a concentration in College and University Student Personnel Administration and works as Graduate Assistant in the Office of Student Success and Recruitment.